If you read my last article and visited the Skin Deep website, you now know that your makeup, beauty, household, and even baby products probably contain harmful toxins and parabens. So, now that you had a panic attack, and threw out all of your items, it’s time to go shopping. The first time you go shopping for natural and organic products, it may be overwhelming to you. Don’t let it be, to make things easier, a lot of products that don’t contain toxins and parabens state this right on the label. 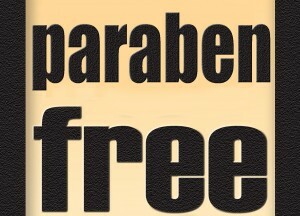 So, to simplify your shopping, look for products that say free of parabens, etc. Foundations, Blush, Eye Shadow and Eye Liner. Physicians Formula now makes a great line of organic makeup called Organic Wear that is free of parabens, and can be found at an affordable price at CVS, Target, Ulta and Wegmans. I recently bought eyeliner for about $7.99. 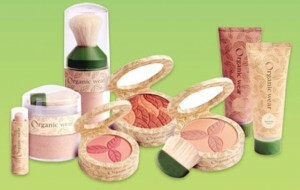 Other items I bought from the Organic Wear line are blush and an eye shadow duo. The eye shadow and eyeliner wear great and stay on all day long. This is important to me, because I have found that a lot of organic eye shadows and eye liners that I ordered through the internet, smudged easily and didn’t stay on well. The blush from Organic Wear is ok. I have really pale skin, so like a darker cheek to put in color in my face. Therefore, I have to put on about 3 layers for the blush to stand out. However, if you like a lighter cheek, this is the perfect blush for you. As for foundation and concealer, I am still using a natural and organic loose powder product that I ordered online. However, because I was so impressed with Physician Formula’s Organic Wear line, I will probably experiment with their concealer and loose foundation powders, once my current products run out. Mascara. Ah mascara, perhaps my favorite beauty product, except for lip gloss. 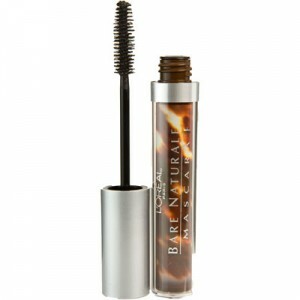 I use to layer on mascara by the truck loads, and my favorite weapon of choice was L’Oreal Voluminous Mascara. Only to find out years later, that it really was a weapon of choice, and was loaded with toxins. For the past two years, I have been wearing an organic mascara that I order from the internet; however, because it is one of the only organic mascaras that stays on, and gives a thick and dark lash, it is usually out of stock. That is why I was delighted to see that L’Oreal now makes a natural mascara called Bare Naturale, which is free of parabens. I just bought this mascara in black last week and I love it. It gives me the same coverage as the Voluminous mascara, except it is healthier for me. Lip Liner, Chapstick, Lip Stick and Lip Gloss. I currently order my lip liner from an organic makeup site online and unfortunately, I haven’t come across an organic and natural lip liner in my local stores yet. I am hoping that either Burt’s Bees or Physicians Formula will add an organic lip liner to their product lines in the near future. 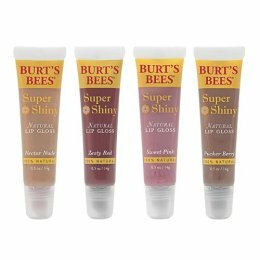 However, I am happy to report, that I am able to find Burt’s Bees chapstick, lip gloss and lip shimmer at all of my favorite local stores, i.e., CVS, Target, Ulta and Wegmans. 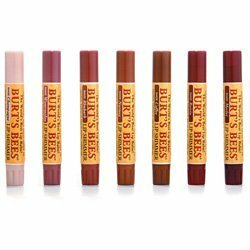 I really like the lip products that Burt’s Bees has, as well as the variety of colors. I am an avid fan of Burt’s Bees products, and use a lot of their bath and beauty products, in addition to their lip products.